MOCAK the Museum of Contemporary Art in Krakow is an institution which presents and promotes 20th century art. The programme of exhibitions and events is constructed so as to display contemporary art in the broadest context possible. Aiming to present the most recent phenomena, MOCAK presents them from their very source, that is to say, the activities of new talents in the process of being formed. For this reason, MOCAK’s third (after Alfa and Beta) gallery – Re Gallery, located in the former Gatehouse of Schindler’s Factory – will be designated for art school students from Poland and abroad. Apart from functioning as an exhibition venue, the gallery’s activities will be educational. This will be an opportunity to acquaint young artists who are only just entering the art market with the modus operandi of art institutions and galleries. The harbinger of the gallery’s activities will be its first event – the presentation of works of students of Krakow’s Academy of Fine Arts produced during the Museum project What Is Art for?, which has been developed over a number of years. During the annual seminar, there took place meetings with students, during which the point of art was discussed and reflected on in social, educational and individual contexts. The seminar came to fruition in the works produced by its participants; since October 2012, they have been shown serially in various exhibition spaces of the Museum. The students of the Academy of Fine Arts in Warsaw inaugurated the new exhibition space at MOCAK - the Re Gallery, performing during the opening ceremony on 16 May a composition inspired by the history and culture of Krakow. 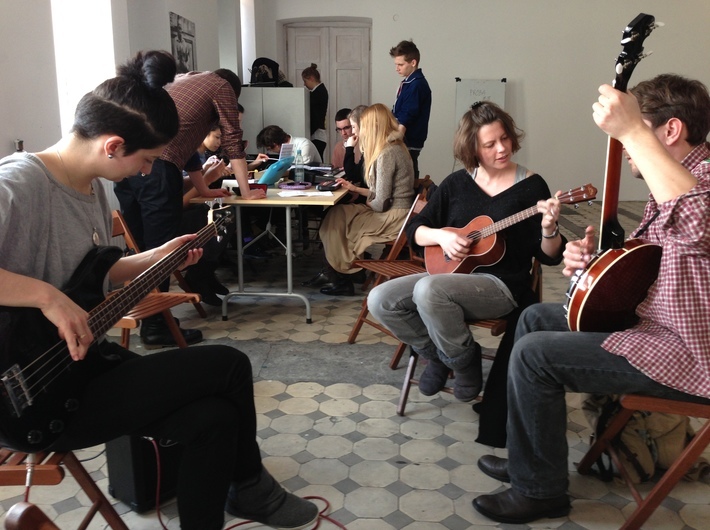 A group of artists usually creative in the field of visual and performing arts created an orchestra and a choir. The gallery is presented unchanged, remaining in the state in which the musicians left it, when they departed with their instruments. In the Re Gallery a recording documenting the event is also on display.